I have lots of quick recipes on the site, and they are all foolproof and delicious. My Start With ... series helps you make dinner using what you have on hand. Let's combine them with this new series: Quick, Quicker, Quickest! Whether you have 45 minutes, 30 minutes, or 20 minutes (or less) to make dinner, these easy recipes will come to the rescue. If you only have 20 minutes before you want to eat, choose the quickest recipe. For a more leisurely dinner, pick the 30 minute recipe! You get the idea. Enjoy these easy recipes and save even more time in the kitchen! This wonderful and foolproof recipe takes 45 minutes, start to finish. While the chicken is in the oven, steam some asparagus and toast some garlic bread for a wonderful complete dinner. 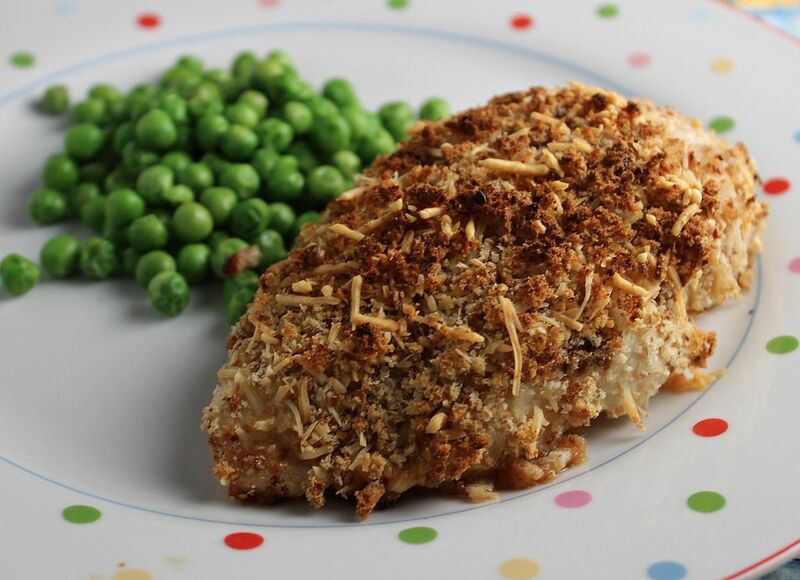 Use chicken instead of bread to make a quick and flavorful dinner in under 20 minutes. Yum. Just five ingredients make a rich and delicious pasta main dish that's perfect served with a bagged green salad and a glass of wine. I just love this recipe; the combination of fried potatoes with tender steak and savory sauce is simply wonderful. This easy recipe turns a pound of strip steak into a hearty meal. Use your favorite veggies in this easy recipe. Whip up an easy relish while the steaks stand at room temperature, then grill them, top with the relish, and eat! Pure comfort food! This wonderful recipe is easy to make and is delicious and filling too. I love the flavors and textures in this simple recipe. It's so good for you too! This is the recipe my mom made when I was little. It's classic and foolproof. Fish fillets are stuffed with a cheesy rice and spinach mixture, rolled up, and microwaved to tender perfection. Veracruz is a sauce made with tomatoes, onion, and green olives. It's delicious served over mild fish fillets. A quick crisp slaw tops tender fish in this super simple and delicious recipe. Spinach is a delicious addition to scrambled eggs, especially when you add onion and garlic.